Since the end of The Linux Experiment I have started dual booting my laptop, switching between Kubuntu 9.10 and Windows 7 as needed. While this solves all of my compatibility issues, it does pose some more annoying issues. 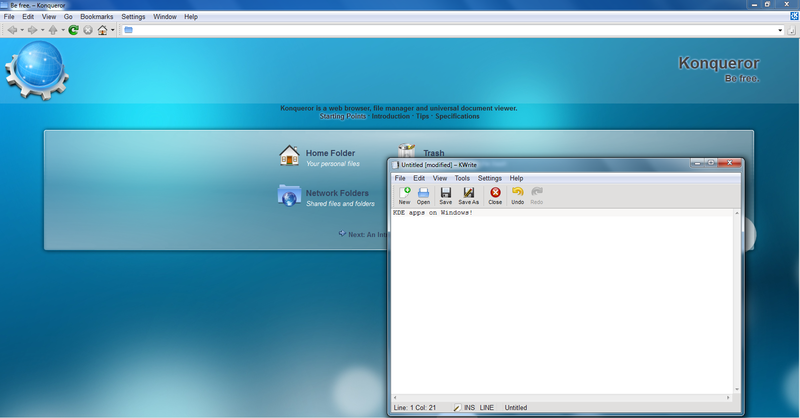 For example after setting up one operating system just the way I like it I now need to do the same for the other. Furthermore after becoming used to using particular applications under Linux I now have to find alternatives for Windows. Well no more! The KDE guys and gals have ported the libraries to Windows! 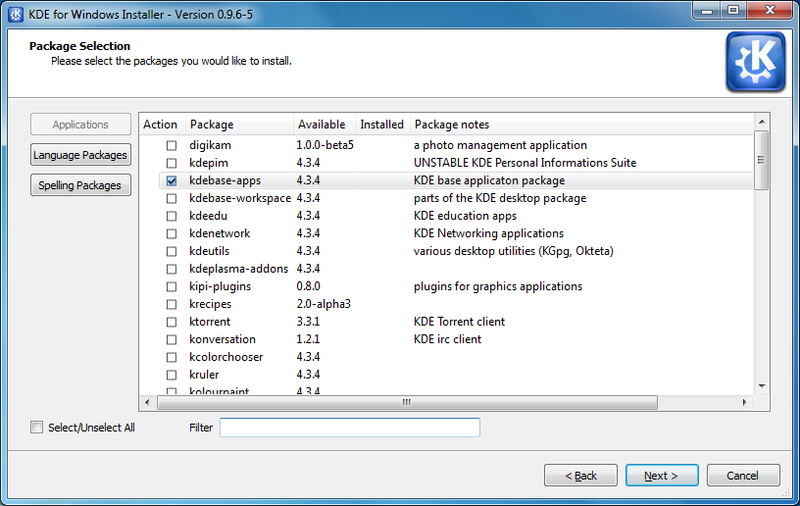 To install KDE on Windows all you need to do is head over to http://windows.kde.org/download.php and grab a copy of the installer exe. 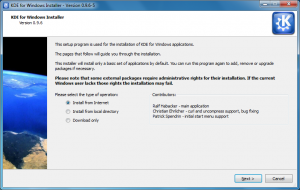 This will more or less walk you through the initial setup and then present you with a list of packages you can choose to install. 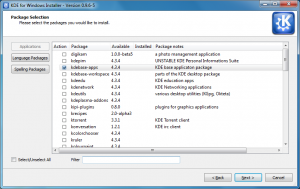 Most applications are there including things like KTorrent, Konqueror, Konversation and more! Simply select them and watch as they are easily installed. This is very cool. Do they implement a repository system of some sort for this, or do you have to download each app separately? 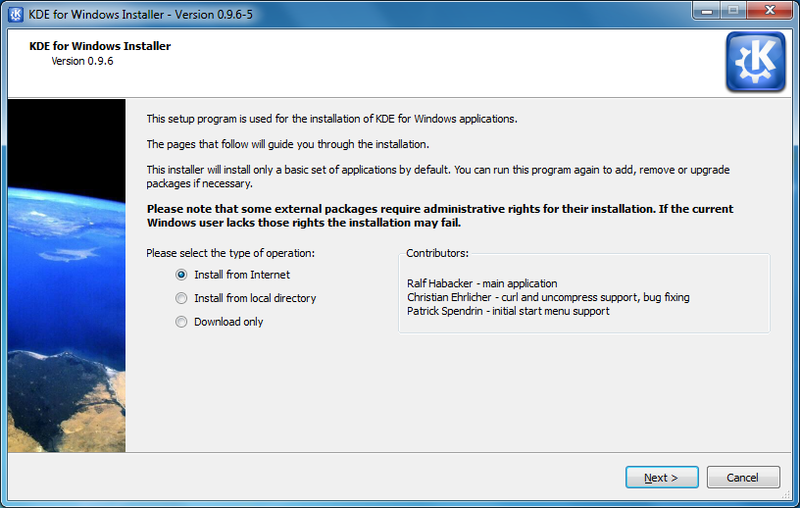 The installer is very similar to a repo. Want more software? 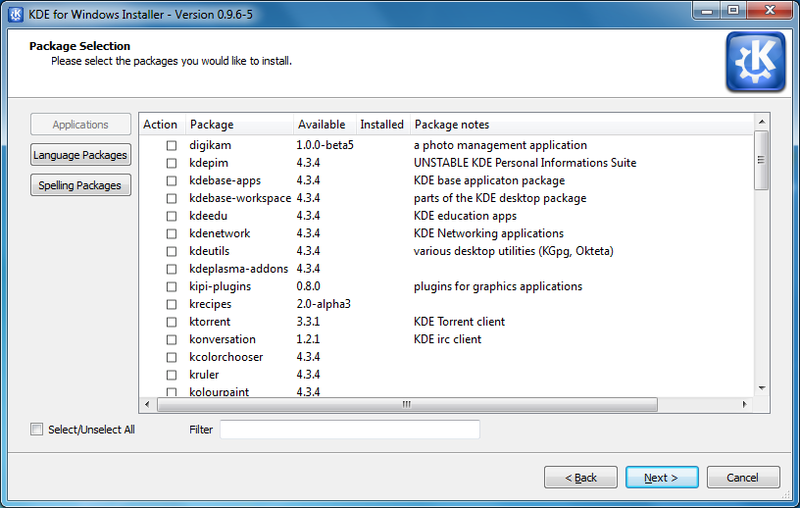 Just run the installer again and select the new packages. Yes! Finally someone writes about linux.